December 21st was the shortest day of the year, when the sun was at its lowest and the country at its darkest. Every day since then the UK has been getting lighter and brighter, and it's already time to start planning for your summer holiday. It's easy to budget for your next break with our free Money Dashboard service. You can set goals for the future, plan your budgets and get a simple overview of your finances, all in one place. If you struggle to stick to your guns in January, you can embrace Chinese New Year at the end of the month, giving you a chance to start all over again with brand new resolutions. 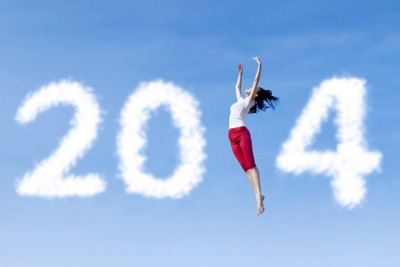 If you're planning on rebooting your 2014 promises, let us know by getting in touch on Twitter or Facebook! If you're more interested in dressing down than dressing up, January is the month for you, especially if you're planning a trip to the States. The No Pants Subway Ride is the zany brainchild of a New York improv group, and it's taking the city by storm. The mass trouser-less commute spreads farther and wider every year - so if there's not one near you, you can always start planning your own for next year. Christmas may now be a distant memory, but there are plenty of exciting events on the horizon. Whether you're planning to celebrate Burns Night, booking your Valentine's Day meal early or embracing the early release of this year's Cream Eggs, there's always something to look forward to just around the corner. And remember - Christmas is only a short 337 days away (and counting!). For some, January is the time to ditch the alcohol and start a New Year detox. Thankfully, it's not compulsory for the rest of us. If you're resisting the urge to take part, there's never been a better time to stock up on Champagne and posh fizz, with shops across the UK already gearing up for Valentine's Day with cut price deals. So, whether you're already booking your next summer break or preparing your haggis for a Burns Night Supper, there's plenty of reasons not to be blue this January.